Back in the early ‘80s, Steve Wozniak--awash in riches from his work co-founding Apple--had a big idea: he would put on a Woodstock for a new generation, bringing all types of people together to have a good time at a festival full of music and--naturally--technology. Money would be no object, every detail would be accounted for, and there would be no limits when it came to trying new things, as he gathered an accomplished team to achieve a Herculean task. And when the bands took that stage in the sweltering heat of San Bernardino, California in September of 1982, it was a massive success in terms of the number in attendance, the music that was created and the good vibes shared. Three decades plus later, not many remember The US Festival (which took place again in 1983, with the two shows reportedly losing more than $24 million combined.) Why the show slipped away into history isn't clear--though the monumental, two-continent, live-broadcast of Live Aid following just three years later certainly could be the primary culprit. However, as noted in this film--in a very meta way--Woodstock's legend grew because of the film that documented it, and this film tries to do the same for Wozniak's creation, gathering together a host of archival footage, and building the story of the festival around several performances and modern interviews with several of the folks involved, including Wozniak and a number of the performers, like Mick Fleetwood (Fleetwood Mac), Mickey Hart of the Grateful Dead, Kate Pierson of the B-52s, The Police's Stewart Copeland and Eddie Money. Considering how insane Wozniak and company's plan was, it's not surprise that the creation of the festival is dotted with a number of entertaining stories and characters, including run-ins with the booker that was hired to bring the show together: Bill Graham. Among the highlights of the film is the clash between Wozniak's tech-skilled circle of friends and Graham's efforts to keep them out of the backstage area, and the attempt to create a satellite link between the festival and a studio in Russia (an unheard-of technological feat.) There's not much in the way of drama in the film (it's very obviously a love letter, not an investigation) but there are interesting things to learn about the festival throughout (including the innovations the show pioneered), with Copeland's interview clips being particularly enjoyable and insightful. Watching the film, the only real issue is the structure. It feels very much like a television presentation, broken up into vignettes and segments, with graphics and fades to black serving as mile markers along the way. The result of all this artifice throughout the presentation is a lack of flow to the film, which only becomes more obvious when it doubles back and starts repeating clips. A bit less aggressive structure may have freed up some time for another performance (if they could have afforded it) and would have kept things moving. Released as a two-disc set (one Blu-ray, one DVD) The US Festival, is packed in a standard-width, dua-hubbed keepcase. The static menu offers options to watching the film and check out the extras. There are no audio options, nor are there subtitles. This is a film that really could have used chapter stops to allow you to jump to the performances. As it is, you have to hunt and peck to find them for a repeat viewing. The 1080p, AVC-encoded transfer here does a fine job with what's available. The new interviews all look sharp, nicely detailed and well-saturated, without any notable concerns (and, as a side note, the participants all look pretty great 30 years later.) The archival material (which was shot as home video--though with high-end equipment for the time) is pretty impressive for the most part, especially when it comes to the concert footage. Though the era's video has its trademark flaws--edge defects, scan lines and video noise--the color is decent, black levels are surprisingly deep, and the level of fine detail is good. The image is in pretty good shape as well, with only minor issues in rare spots. Can't deny that getting a Dolby Digital 2.0 audio track on a music festival Blu-ray is a disappointment, but on the plus side it sounds good, with solid separation between the voices in the interviews and the music bed behind them. The performances sound solid, if unspectacular, keeping everything clean. Don't expect high-end, and you won't be disappointed. 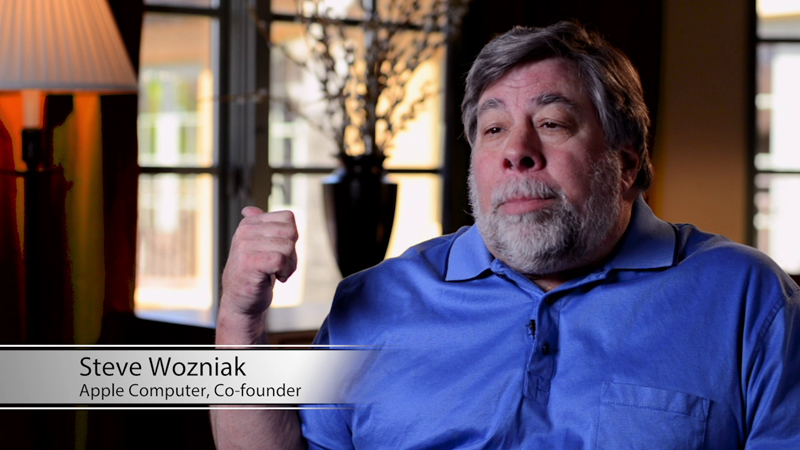 Three extended interviews are included, featuring Wozniak (16:29), Fleetwood (6:26) and Copeland (19:30). The good stuff in here made it into the film (obviously) but there are bits and pieces worth checking out, as Fleetwood attempts to deal with noise in the room and Copeland honestly reflects on The US Festival's legacy. 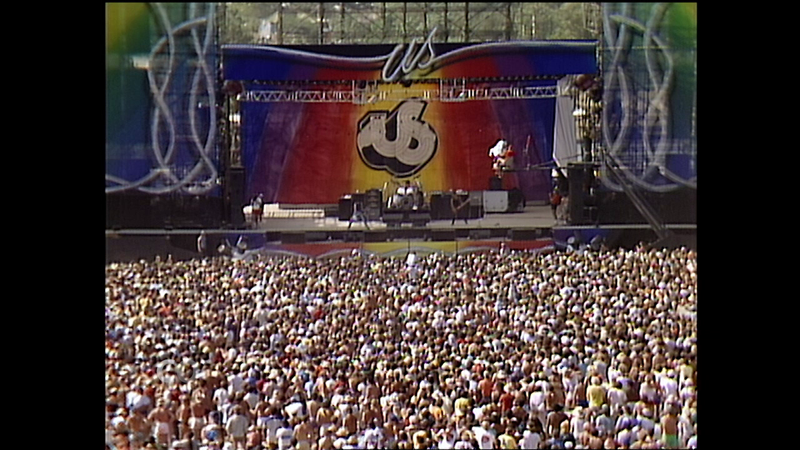 Despite boasting an incredible line-up, multiple innovations as a music festival, and remarkable success in terms of attendance, The US Festival is mostly forgotten, overshadowed by Woodstock, Live Aid and the huge modern selection of multi-day. multi-band shows. 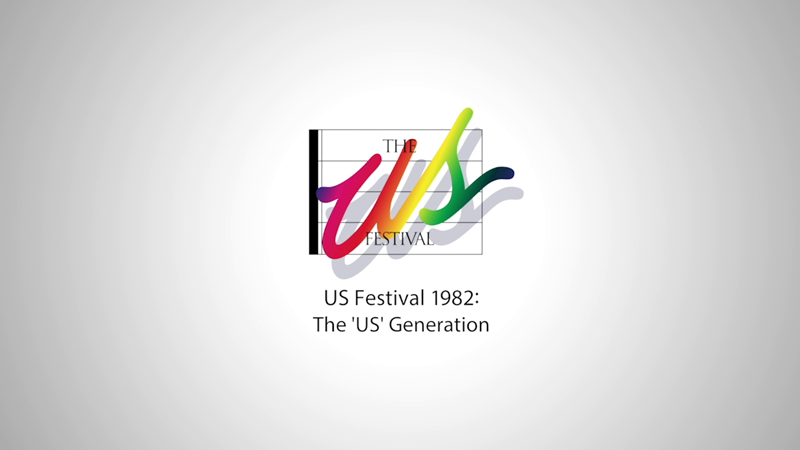 The US Festival attempts to change that by presenting the memories of those involved and an array of archival footage, including several full songs by a number of the biggest bands. It's definitely a celebration, rather than an impartial chronicling (the Wozniaks are producers on the film), but it does shine light on a moment that deserves to be remembered, even if only for the audacious effort that went into it. The disc looks and sounds quite good, considering it is made up largely from footage more than 30 years old that was never meant for public consumption, while the extras offer a bit more background for anyone interested in the festival. For music fans, the film provides some great performances, some excellent archival looks at the festival and stars, several enjoyable stories and a generally positive message, carrying forth Wozniak's hope for society.